March 20th is Meatout Day, and this is our annual Meatout-themed show! It’s Vancouver Fashion Week, and cruelty crowds the catwalk. Some local animal advocates took it upon themselves to disrupt the normalized violence of the fur fashion industry by staging a dramatic protest this week where they stepped out on the catwalk themselves to convey the message of fur cruelty that was being featured at a fashion show. One of the protesters, Elyse, is guest hosting on this week’s show, and she tells us about what this experience was like. You can see video footage of the fashion show protest here, as covered by the Metro News. 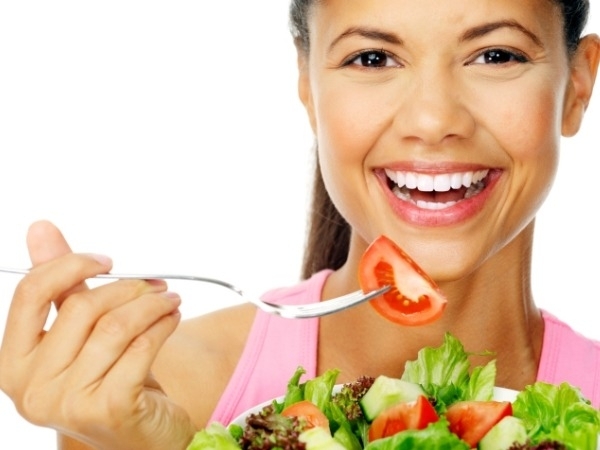 We often talk on the show about reasons to go vegan – for the animals, the environment and your health –, and we give advice on taking the steps to do so, but it still remains a fact that today there are more ex-vegans and vegetarians in the world than current vegans and vegetarians, and why is it that the vast majority of people who stop eating animals eventually go back to eating meat? The Humane Research Council recently conducted a large study of people who had quit eating vegetarian, to find out their reasons for doing so. It’s interesting to note that the biggest difference between those who are currently vegetarian, compared to those who stopped being vegetarian, is that current vegetarians are motivated by “Animal Protection” reasons. Also interesting to note is that about 75% of people who quit eating meat eventually decide to go back to eating animal flesh. So why is that, and how can we support people to overcome the barriers that they might face to keeping on the vegan path? In this segment, we explore and discuss the common reasons that people quit their veg lifestyle (ie. health-related, and social pressures), and we offer our own advice from our own life experiences to hopefully be able to help those who may be struggling, or who are worried that they may face struggles if they take the step to go meat-free. Like any lifestyle, the vegan way of living is formed by adopting sustainable habits, and the key to integrating these habits comes with some thought, determination and a desire to be successful in your life choices. Be proud to live vegan, and think of all the animals you are affecting! For our third annual Meatout show in a row, Paul Shapiro, Vice President of Farm Animal Protection of the Humane Society of the United States, joins us again to give us the latest updates on trends in consuming less meat, and what’s been happening recently for the animals in the meat industry. In recent news for the animals, just this week, food service giant Aramark announced that it will be converting all its liquid eggs to cage-free. Also just announced in the news, the vegan food company Hampton Creek has signed a deal with the major food distribution company Compass Group to replace all its mayonnaise and cookies with Hampton Creek products. Paul gives us his insider info about these initiatives and discusses what these moves in the food business will mean for the animals. Paul also shares his thoughts with us about reaching people who see veganism as a dietary fad; changing federal government guidelines that encourage a more plant-based diet (and its meat and dairy industry opposition); and gives his personal input on our first segment on how to overcome challenges to staying on the vegan path. 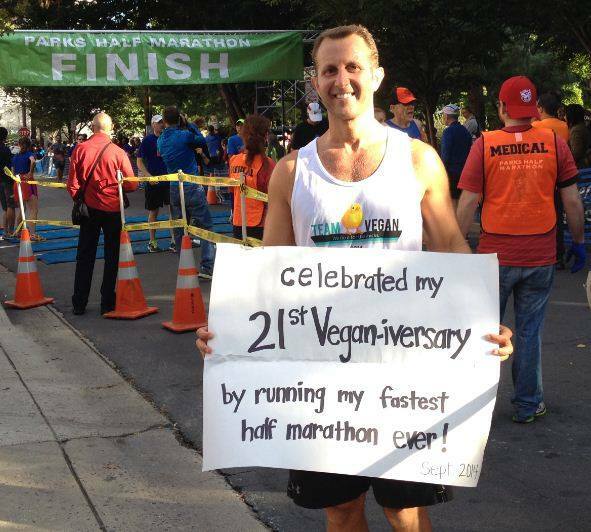 And, time-permitting, we might even ask him to talk about how he celebrated his 21st vegan-iversary last year in running his fastest half marathon ever!